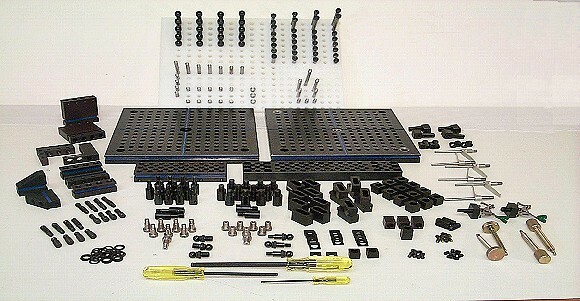 32 - .373 shoulder bolts, 1.00"- 4.00"
20 - 7/16-14 cap screws, 1.00"- 3.00"
21 - .373 sp. dowels, 1.00"- 4.00"
8 - .373 sp. anchors, 1.50"- 4.50"
3 - .373 step pins, .500"
1ea. 1/8", 3/16" and 3/8"